NEW YORK — Barry Bonds, Roger Clemens and Sammy Sosa are listed on the baseball Hall of Fame ballot for the first time, setting up an election sure to become a referendum on the steroids era. The 37-player ballot was announced Wednesday. More than 600 longtime members of the Baseball Writers’ Association of America will vote through next month. Candidates need 75 percent for induction, and the results will be announced Jan. 9. Bonds is the all-time home run champion with 762 and won a record seven MVP awards. Clemens set a record with seven Cy Young trophies and Sosa hit 609 homers. The voters will now decide whether drug allegations that tainted their huge numbers should keep them out of Cooperstown. Craig Biggio, Mike Piazza and Curt Schilling are among the 24 first-time eligibles. Jack Morris, Jeff Bagwell and Tim Raines are the top holdover candidates. The upcoming election is certain to fuel the most polarizing Hall discussion since career hits leader Pete Rose’s betting troubles put him on baseball’s permanently ineligible list, barring him from the BBWAA ballot. While many continued to debate whether Rose should be enshrined, it was moot because there is no way he can be considered. On deck, though, are some of the game’s biggest names — along with a lot of the sport’s biggest baggage. 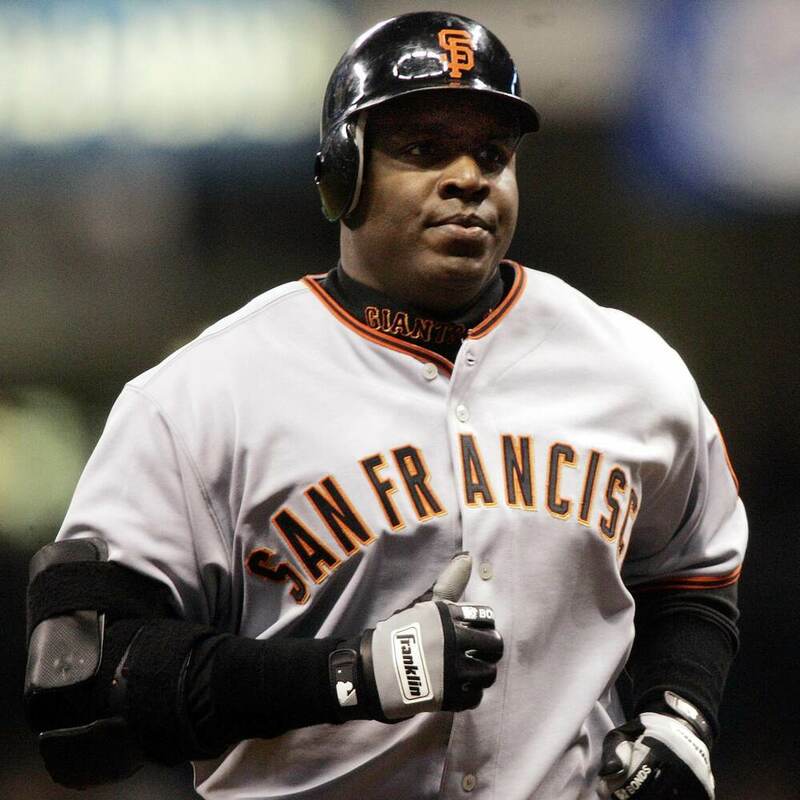 Bonds, Clemens and Sosa each posted monster statistics, though their accomplishments were shadowed by accusations they used performance-enhancing drugs. And as baseball keeps trying to rid itself of PEDs, their impact on HRs, RBIs and Ws remains a prickly problem. Schilling, who works as an analyst for ESPN, knows how he would vote if he had a ballot. Mike Klis of The Denver Post agreed with Schilling. “Nay on all three. I think in all three cases, their performances were artificially enhanced. Especially in the cases of Bonds and Clemens, their production went up abnormally late in their careers,” he wrote in an email. They’ll do better with Bob Dutton of The Kansas City Star. “I plan to vote for all three. I understand the steroid/PED questions surrounding each one, and I’ve wrestled with the implications,” he wrote in an email. “My view is these guys played and posted Hall-of-Fame-type numbers against the competition of their time. That will be my sole yardstick. If Major League Baseball took no action against a player during his career for alleged or suspected steroid/PED use, I’m not going to do so in assessing their career for the Hall of Fame,” he said. “At the beginning of all this, I made up my mind I had to adopt a consistent policy on the steroid social club. So, my policy has been, with the brilliance in the way they set up the Hall of Fame vote where these guys have a 15-year window, I’m not going to vote for any of those guys until I get the best picture possible of what was happening then,” he wrote in an email. Bonds was baseball’s premier slugger of his generation and Clemens ranks ninth in career wins with 354. Sosa is eighth on the home run chart with 609. Fans, players and Hall of Fame members have all chimed in about whether stars who supposedly juiced up should make it to Cooperstown. Many of those opposed say drug cheats should never be afforded baseball’s highest individual honors. Others on the opposite side claim the use of PEDs was pervasive in the 1980s, 1990s and early 2000s, and shouldn’t disqualify candidates. Schilling was 216-146 and won three World Series championships, including his “bloody sock” performance for the Boston Red Sox in 2004.